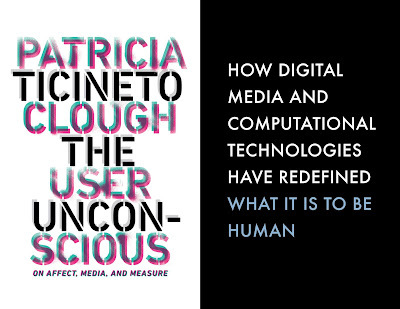 UMP | University of Minnesota Press Blog: Patricia Ticineto Clough: Why the cyborg can no longer be a figure of either politics or ontology. 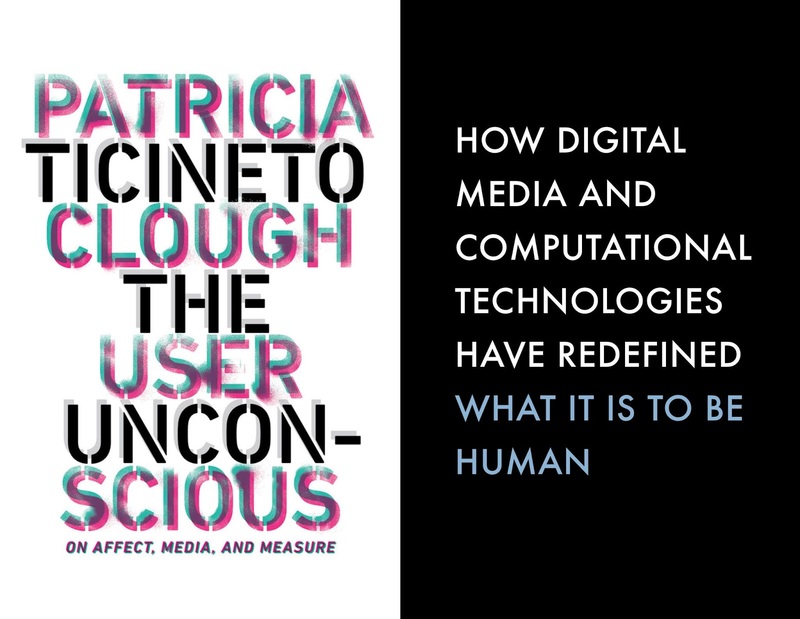 Patricia Ticineto Clough: Why the cyborg can no longer be a figure of either politics or ontology. Following the publication of The User Unconscious, I had the occasion to revisit Donna Haraway’s “Cyborg Manifesto” and found myself challenged to articulate the relevant differences between what is proposed in The User Unconscious and in Haraway’s groundbreaking essay. In the manifesto, Haraway famously offered the cyborg as the figure of feminist politics as well as an ontological standpoint from which to understand the late twentieth-century technoscience and its cultures. Minimally defined, the cyborg was meant to point to border wars between animal and human, between human and machine. 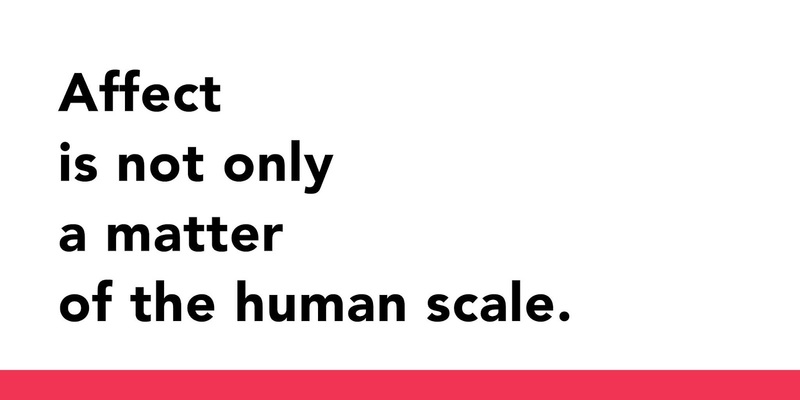 The latter was the focus of the manifesto and drew attention to what was becoming a machine-human hybrid or an organic-inorganic hybrid. With the cyborg as politics and ontology, Haraway eschewed Freudian psychoanalysis as reductively biological and for its offering an oedipal timeline that implies either healing “the terrible cleavages of gender in an oral symbiotic utopia or post-oedipal apocalypse.” While much of the manifesto still holds important insights, in The User Unconscious I argue that the cyborg can no longer be a figure of either politics or ontology; nor can we point only to the “pleasures” and “responsibilities” in the confusion of boundaries, celebrated more often than not by Haraway in the manifesto. The confusion of boundaries has been displaced by the indeterminacy or incomputability that ordinarily functions as the condition of possibility of algorithms operating in finance, governance and sociality, while also urging new forms of intervention relevant to datafication by which I mean the data mining of tracking and sensing technologies as well as internet use and all sorts of mobile devices. 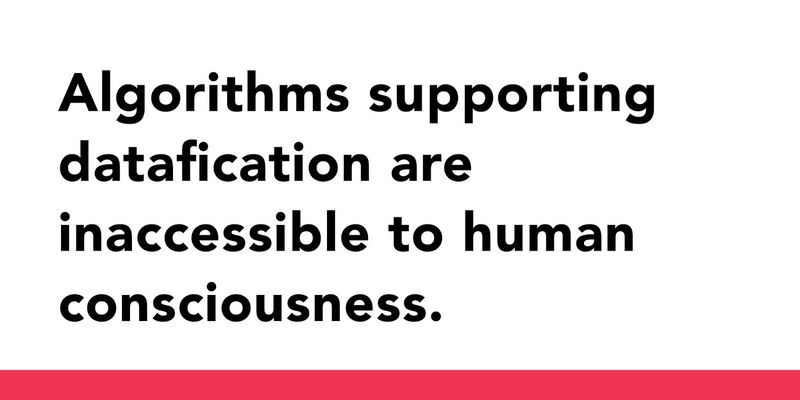 These technologies are putting us in touch with the agencies of other-than-human objects and environments, which in themselves are inaccessible to human consciousness or bodily-based perception or to which consciousness and bodily-based perception have no direct contact. 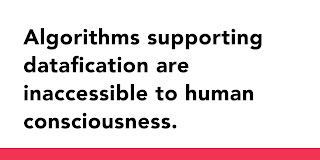 Feeding forward to human conscious the data of what already has occurred prior to consciousness and perception, the algorithms supporting datafication are operating in ways that often enough are also inaccessible to human consciousness and perception. Not surprisingly the scholars in media studies, critical theory, and philosophy to which I turn in The User Unconscious have fostered a “speculative empiricism” inspired by Alfred North Whitehead, where consciousness and bodily-based perception have been displaced as the stable, substantial hub of all experience, extending the domain of the social to the pre-affectivity of environmental forces or other-than-human agencies that initiates a rethinking of sociality as well as subjectivity, the unconscious, and affect—all as part of the ongoing reconfiguration of the liberal arrangement that purports to sustain a separation of the state, economy, the private and public spheres. In the manifesto, Haraway would situate the cyborg in a displacement of the separation of the private and public spheres in terms of what she referred to as the “homework economy”–not just a matter of the feminization of labor generally but more “the integration of the factory, home, and market on a new scale” (39), making possible what more recently would be called affective labor or as I would put it: the labor of affect-itself. Referring to the capitalizing of affective capacities at the human scale and the pre-affective capacities at the other-than-human scales of matter, the labor of affect-itself refers not only to economy but to a biopolitics that is as well geontological, as Elizabeth Povinelli puts it, in extending Foucault’s take on power, dismissed by Haraway in the manifesto. In this context, the separation of the public and the private spheres to which Haraway referred in the manifesto now is further displaced by what in The User Unconscious I describe, following Wendy Hui Kyong Chun, as “the separation of the personal and the networked,” where economy and (bio/geontological) politics are confounded in the subject or the I’s inextricability from the networks of data which the I in part constitutes and in part is constituted by through the ‘free labor” of giving off data in using digital media usually without the subject’s consciousness or perception. As the I is composited with its own data traces as well as the data fed forward to it from other-than-human agencies beyond consciousness and bodily-based perception, the subject, I go on to propose, is humanly and other than humanly embodied. Not only has affective labor expanded to operate from within the human body and from without it, putting the body beyond the skin, or embodiment beyond the organism, there also has been a shift in psychoanalysis beyond Haraway’s rendition of it that has invited an account of affect as the force of the unconscious, its force in seeking objects: that is, refinding objects that are lost (infantile objects). (For a reconsideration of affect and the unconscious, see: Studies in Gender and Sexuality, Volume 19, Number 2: 2018.) 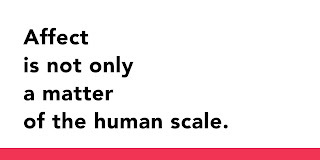 But affect is not only a matter of the human scale; there also is the pre-affectivity of the other-than-human scales of matter beyond consciousness and perception. The user unconscious, I therefore have suggested, is a matter of affect, in psychoanalytic terms, the force of seeking lost (infantile) objects, operating, however, in a networked environment of objects that along side those lost are those that are not lost but rather are lively and not containable brought by datafication out of reach of human consciousness and bodily-based perception, that is, an environment of the endless availability of the search that in itself supersedes finding an object. (For a discussion of online searching and the objects of the unconscious, see Stephan Hartman (2011), "Reality 2.0: When loss is lost," Psychoanalytic Dialogues, 21, 468-482.) This endless searchability supported by datafication is another way of posing the liveliness of objects or their other-than-human liveliness that suggests an embodiment of the I and the unconscious that is human and other than human, yet to be fully engaged as a matter of subjectivity and sociality. As the user unconscious refers to the subject or an I that is both humanly and other-than-humanly embodied, it is necessary to rethink the social and subjective characteristic of race, gender, sexuality, age, and ethnicity usually attached to the body-as-organism but which are being reconfigured in the ongoing rearrangement of inside and outside the body beyond the skin, the public and private spheres and the economy and state. Linked to a biopolitics of populations, what I have described in The User Unconscious as a datafied population racism aimed at the profoundly unequal distribution of life capacities among populations, the body-as-organism now is the site of a shift in critical concern about confused boundaries to one about the incalculability functioning in the operation of algorithmic production of datafication registered differently across populations as a traumatic recognition of other-than-human agencies that are the speculative empirical condition of possibility of human experience. While “The Cyborg Manifesto” has stacked up a number of criticisms, perhaps most notably those aimed at its all too celebratory take on cyborgian technoscience, I have found in returning to it an invitation also sounded in The User Unconscious to not only research the devastations of current datafication but also to engage a fuller appreciation of it in forming interventions that affectively address changes in sociality and subjectivity registered in the user unconscious. 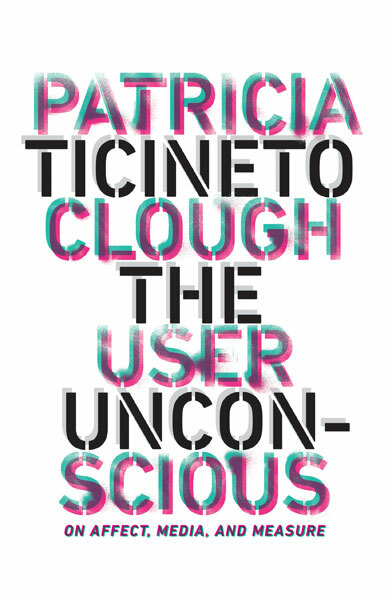 Patricia Ticineto Clough is professor of sociology and women’s studies at the Graduate Center and Queens College, City University of New York. She is author of The User Unconscious: On Affect, Media, and Measure (Minnesota, 2018); Autoaffection: Unconscious Thought in the Age of Teletechnology (Minnesota, 2000); Feminist Thought: Desire, Power, and Academic Discourse; and The End(s) of Ethnography: From Realism to Social Criticism. She is editor of The Affective Turn: Theorizing the Social with Craig Willse, editor of Beyond Biopolitics: Essays on the Governance of Life and Death, and, with Alan Frank and Steven Seidman, editor of Intimacies: A New World of Relational Life. Clough is also a psychoanalyst practicing in New York City. The user unconscious, I therefore have suggested, is a matter of affect, in psychoanalytic terms, the force of seeking lost (infantile) objects, operating, however, in a networked environment of objects that along side those lost are those that are not lost but rather are lively and not containable brought by datafication out of reach of human consciousness and bodily-based perception, that is, an environment of the endless availability of the search that in itself supersedes finding an object. What the above suggests is that in this era of the internet, things we might seek to fill an emotional lack are lost and difficult to find, not because they are not there, but because there is too much data (and not enough time) to wade through all the information we generate / we are made up of to get to it — or among all that information, it is hard to distinguish between what is lost, and important vs. what is not important, but found. This is poignant to me. Almost crazy making. I think — of all the tens of thousands of photos I take, which are the ones I will go back to, or even remember? Some of them may be important, crucial even, but often in any search I make for a certain image of a key moment — often a memory of a snapshot taken which I’m not sure is even there — there are so many other images that distract me in my effort to find what I have just a hunch about (but don’t totally know) that I often never find what I’m looking for. Very interesting cut into ongoing debates surrounding the organizing "figure" of "post-digital" culture. I especially appreciate the work done to bring psychoanalysis and the virtual together through a subject that is in-formation with the receding character of network architecture. On David Wojnarowicz, politics, and gestures.